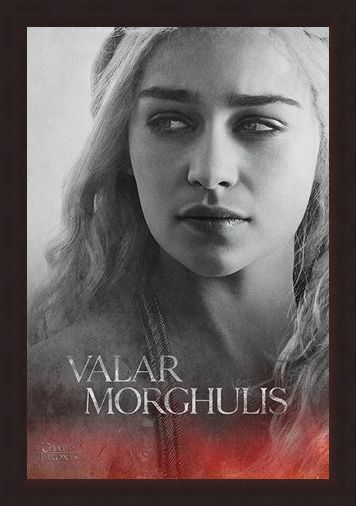 Television Maxi Poster: Unleash the fantasy and adventure within as you sit back and admire this brilliant maxi poster from Game of Thrones. 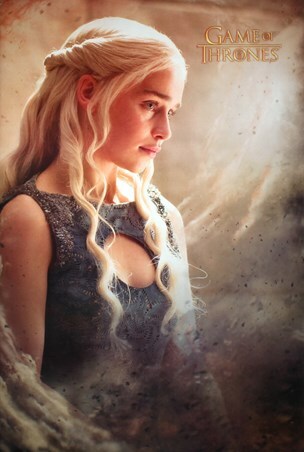 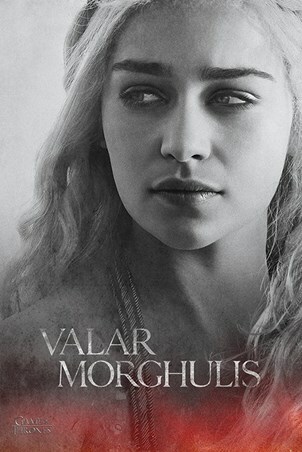 Featuring an image inspired by the final episode of season 2 ‘Valar Morghulis’ which translates to “All men must die”- the tag line from season 4, this poster shows a close up of Daenerys Targaryen, the Mother of Dragons, with a contemplative look upon her face. Fading from black and white to blood red along the bottom, this striking poster is perfect for anyone who has been held in suspense since the end of season 3. High quality, framed Daenerys - Valar Morghulis, Game Of Thrones poster with a bespoke frame by our custom framing service.